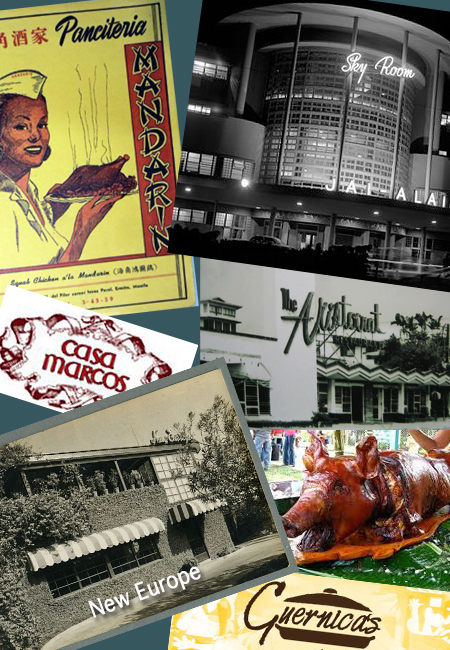 Pictures and stories of the Manila we remember. 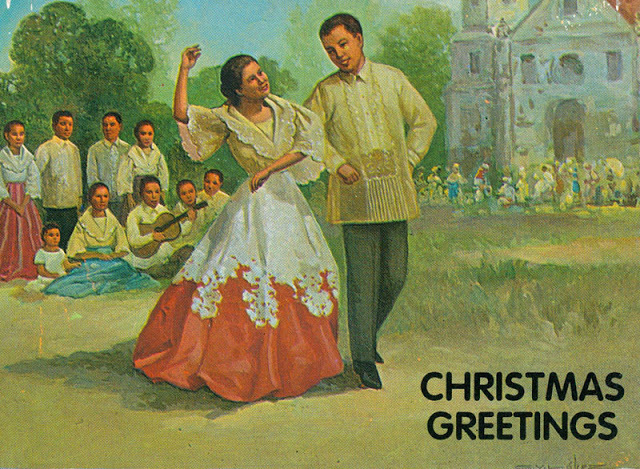 It’s a salutation that millions of Filipinos use this time of year. Merry Christmas ! 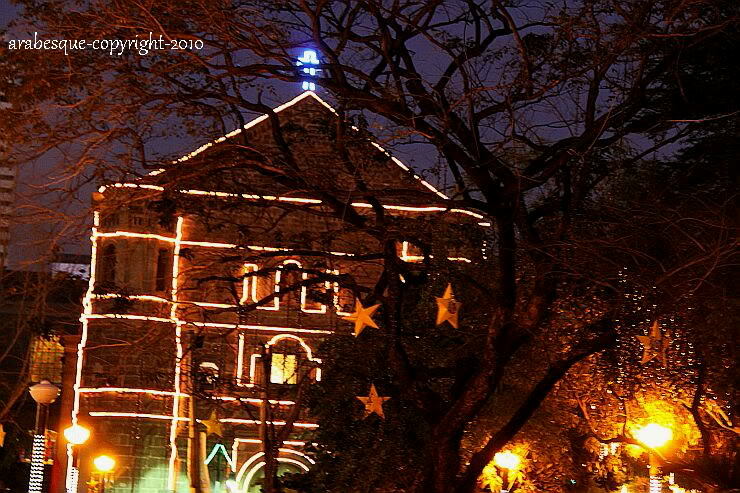 The Christmas season brings special nostalgic memories for me as I’m sure it does for everyone but what particularly stands out in my memories are things from my childhood days when my family and I lived in the Malate area. 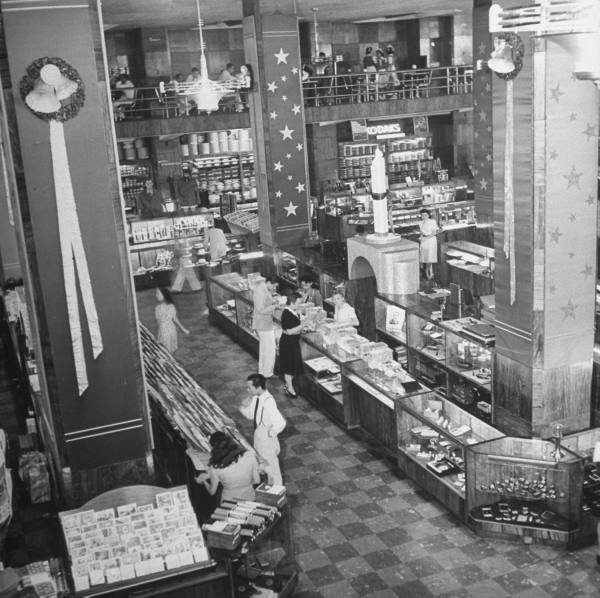 We lived on Remedios Street a few blocks away from the church, which in itself was the center of many Christmas activities. No stockings and no chimney but parols were hung outside our windows “with care”. Mom would get us our Christmas tree – usually a short tree stripped bare of all its leaves and painted white, then decorated with tinsel, and that white cottony-like stuff that was supposed to look like snow, Christmas balls and ornaments, and of course, the famous bubble lights ! Ah – a thing of beauty ! To top it off, there was that fake snow-in-a-can that we would spray on the windows. Odd – because after all , this is Manila, it was 86 degrees, and on top of that, I had never even seen real snow. Courtesy of Lito Ligon – photo taken at his mother’s home in Ermita in the Fifties. 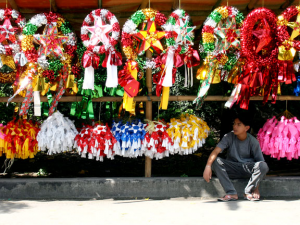 Filipinos love Christmas and are known for celebrating the world’s longest Christmas season which usually starts in September and ends on January 6th (Three Kings Day). It’s a season chockfull of department store displays, holiday carols on the radio, special masses, decorations galore, many parties, glad tidings and cheer all around. Everyone is in a good mood and share a sense of optimism in which Filipinos abound. 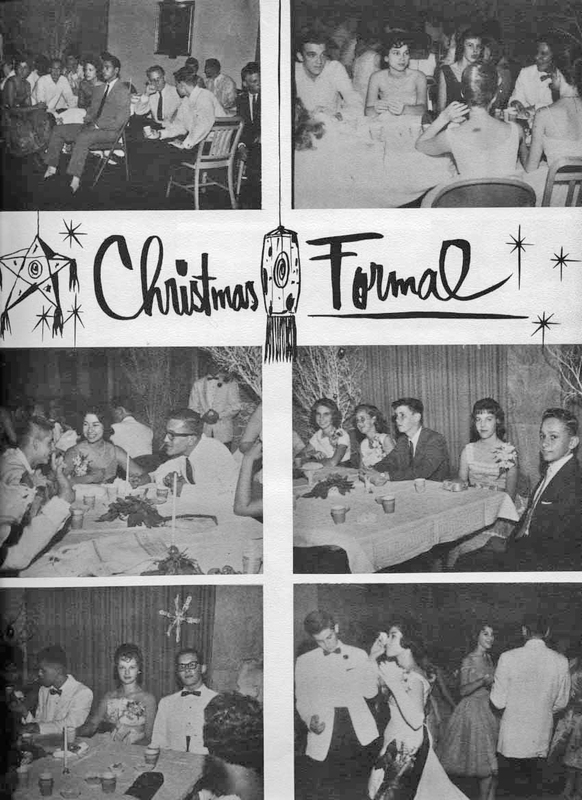 The photo below is from my American School yearbook showing our Christmas Formal 1961. After graduating from the American School in 1962, my mother and I went to live permanently in Seattle with my new stepdad, Vern. It was a huge change of life for me after all, born and living in Manila in my formative years. After being gone for 42 years, I returned home to Manila in 2004 with my wife, Michelle, to film scenes for our documentary, “Victims of Circumstance” that dealt with the Japanese internment camp at the University of Santo Tomas. I found much had changed since 1962. Many of the street names were changed, quite a few landmarks and buildings were replaced, and…the traffic had increased to a frustrating level but that Christmas spirit was still there – intact and inviting as ever. When we arrived in Manila in mid-November and I was anxious to see UST and start filming. It was crucial to give the viewers an idea of the large campus site and the interior classrooms where about 4000 Allied families where kept during the Japanese occupation. It is a rather somber film because of its subject nature. We had obtained the proper authorization and had to reserve certain times to film as classes were still continuing. When we got there, I was surprised – no, astounded – that the buildings and campus where all decorated merrily with Christmas decorations ! I was so involved in production that I had completely forgotten that Christmas had already started. As they say online, OMG ! There was no way I could present this in the documentary. Well, we did some interior shots and decided we had to come back to Manila after the Christmas season – which we did the following February. Our country has the largest Catholic population in Asia from over 400 years as a Spanish colony and is marked by legends, customs, symbols, merry-making and of course, food. We have the largest number of Catholic churches in Asia to attend to the faithful. Special masses are held. 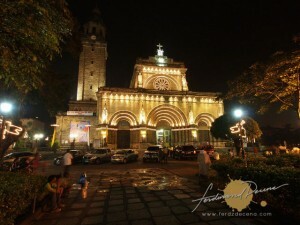 Filipinos begin a novena, a series of nine masses, in mid-December. 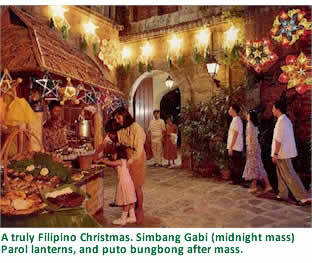 The masses are part of a cherished religious tradition called Simbang Gabi or “Night Worship”. Traditionally, the faithful go to church at four o’clock in the morning and later have breakfast together. The Noche Buena is a feast enjoyed after the Midnight Mass. It’s a time for families to reunite, give thanks and blessings and enjoy special family dishes. 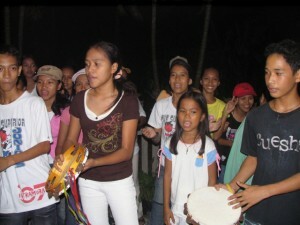 Quite often, an aguinaldo or gift of money is given to the children by godparents. 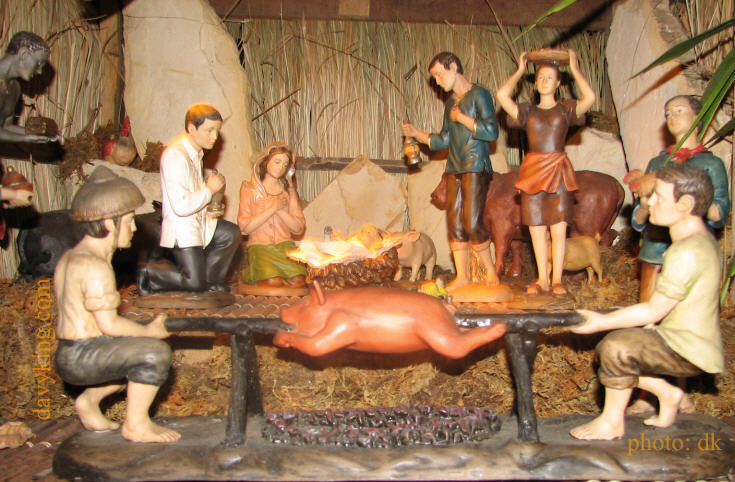 The Simbang Gabi or Misa de Gallo originated in the early days of Spanish rule as a practical compromise for farmers who started their day before sunrise to avoid the heat in the fields. This custom eventually became a distinct feature of Philippine culture and is a symbol of sharing. During the Spanish and early American periods the parishioners would mostly have nothing to offer at the Mass except sacks of rice, fruits and vegetables and fresh eggs that were graciously accepted by the priests who kept a portion for themselves and share with the rest of the parishioners after the service. 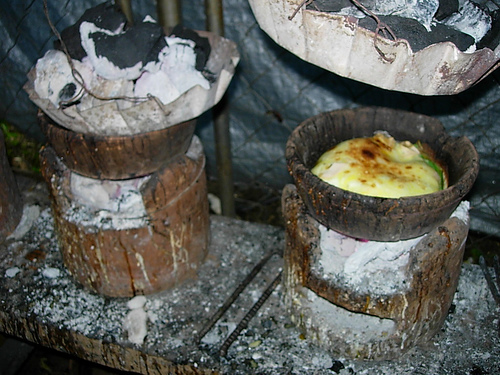 These days, traditional local delicacies are the iconic puto bumbong, bibingka, suman and other rice pastries which often are cooked on the spot. Latik and yema are sweets sold to children, while biscuits like uraro, barquillos, lengua de gato and otap are also favorites. Kape Barako, a very strong coffee grown in the province of Batangas, hot tsokolate, or salabat, a ginger tea are the main drinks. Arroz Caldo (rice and chicken porridge), and other soups popular. Bibingka is considered as one of the must have desserts on most Christmas tables. It’s made of galapong (rice dough) and fresh eggs traditionally cooked with a small charcoal stove. 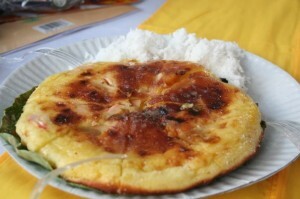 Typically topped with salted eggs and white cheese, lathered with melted butter and drizzled with sugar. It is often paired with grated coconut. 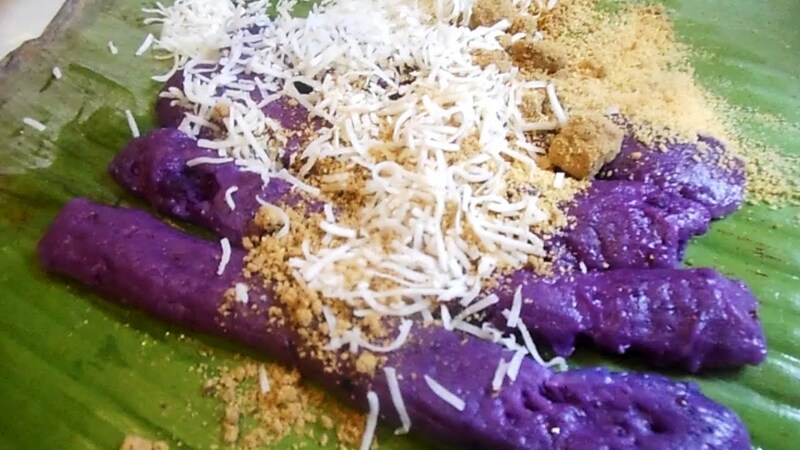 Another Filipino favorite is the Puto Bumbong made out of glutenous rice, steamed, lathered with melted butter, topped with Muscovado sugar, served with freshly grated coconut. Yumm ! 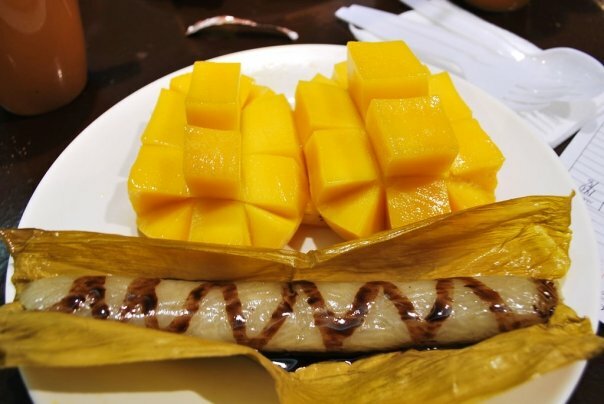 Suman is a rice cake made from glutinous rice cooked in coconut milk, and often steamed wrapped in buli or buri palm leaves. It is usually eaten sprinkled with sugar. Suman wrapping is a unique art in itself, and can be traced to pre-colonial roots which have had contact with Indian traditions. Wrappers utilize a wide variety of indigenous materials such as palm, banana, anahaw and bamboo leaves, coconut shells, and others. One of the world’s most flavorful hot chocolate drinks is made in the Philippines. 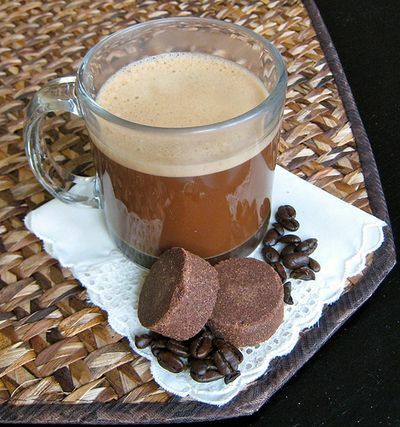 Tsokolate is made from chocolate discs, or tablets, known as Tablea, made from pure cacao nibs that are roasted, ground, and then mixed with a bit of sugar. And depending on the region of the Philippines, some ground peanuts may also be added. To make Filipino Tsokolate, a tablea or two is dissolved in some hot water and then mixed and frothed with a wooden whisk called a Batidor. 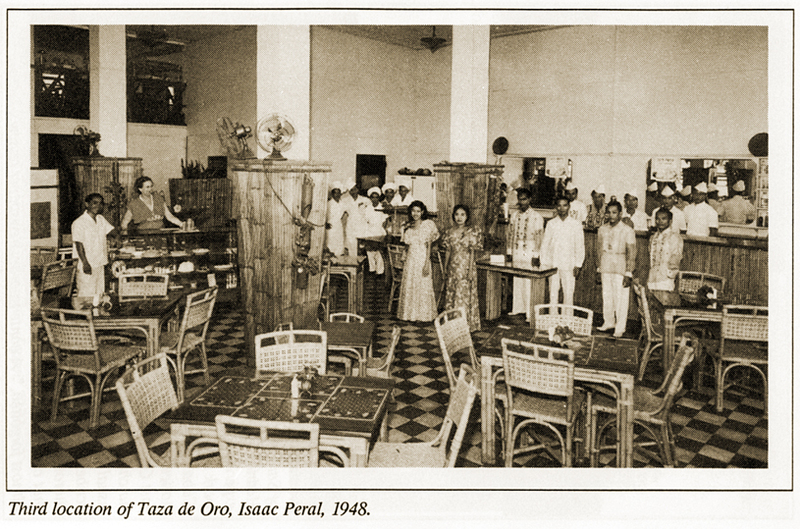 I used to love to go to the Taza de Oro on Padre Faura for my merienda of hot chocolate and pan de sal. Oh my, those were the days. Light and delicate, leche flan has always been my favorite. Loaded with cholesterol from all the eggs but truly a delight ! Mom would bake it in a one pound coffee can sitting in water – cooled, then inverted so the caramel sauce flowed over the top and sides. Maybe that’s why I was kind of chubby back then… ? 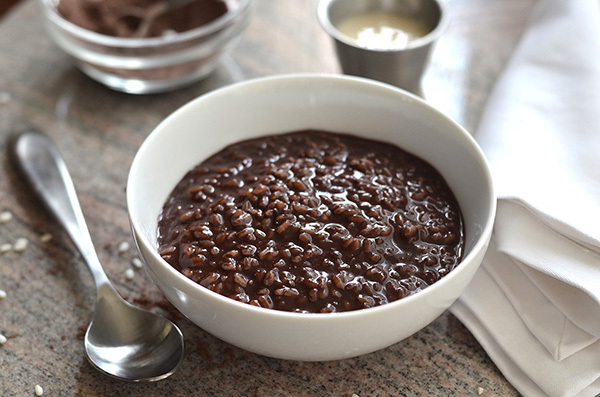 I almost forgot to mention another favorite dessert called champorado, a kind of chocolate rice pudding eaten in the Philippines. This is not to be confused with the Mexican champurrado, which is more of a hot chocolate drink. 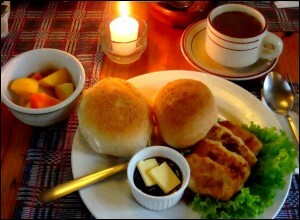 Manila is a city not only of churches but also restaurants offering a huge selection of choices for the holidays. 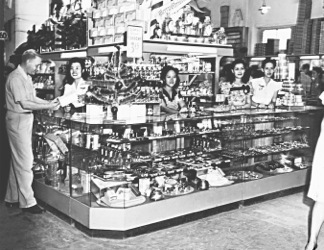 Since my folks owned the jewelry store “Gem Gift Shop” on the Escolta, they usually worked all the time so big family dinners at home were not our tradition. A special evening would be to go to the Sky Room at the Jai Alai or a steak dinner at the New Europe or the Swiss Inn, Spanish dishes at Guernica’s or Casa Marcos and family fare at the Aristocrat or Max’s Fried Chicken. 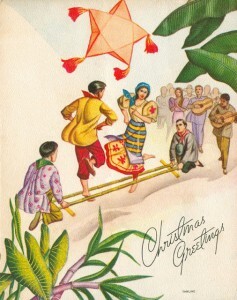 The Filipino culture is rich in tradition, especially during the Christmas season. 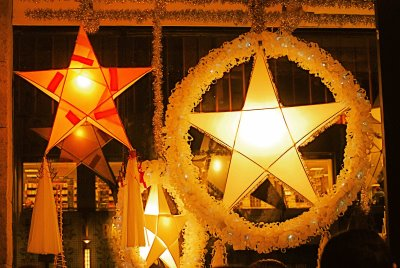 And nothing says Christmas in the Philippines like seeing parols – taken from the Spanish word “farol” meaning lantern. 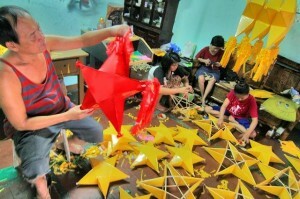 These gaily star-shaped lanterns are ubiquitous throughout the city, in homes and shops everywhere. In my day, they were made with thin bamboo slivers covered with colored tissue paper and lit by a candle or light bulb. They have since evolved into quite fancy decorations, some employing capiz shells and even digital lights programmed to flash and dance a dizzying array of colors. The Nativity scene is called a Belen, a tableau depicting the night Jesus was born in the manger surrounded by the Blessed Virgin Mary, St. Joseph, shepherds and three Magi. I think I would be safe to say that Manileños love to shop. That’s been going on since the beginning of the American period through today. 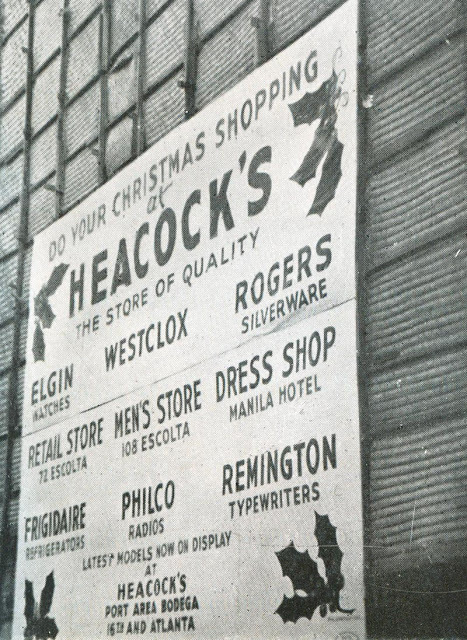 Before the war, the most popular stores were on the Escolta, down Rizal Avenue, Carriedo and Azcarraga – considered “downtown”; stores like Estrella del Norte, Philippine Education Company, Heacock’s, Botica Boie, and Aguinaldo’s. Back in the day, I don’t recall seeing any department store Santa Clauses as they do today, with the retinue of little elf helpers and a line of children waiting to get their pictures taken with the Great One and hopefully bend his ear to ask for a favorite doll or toy. 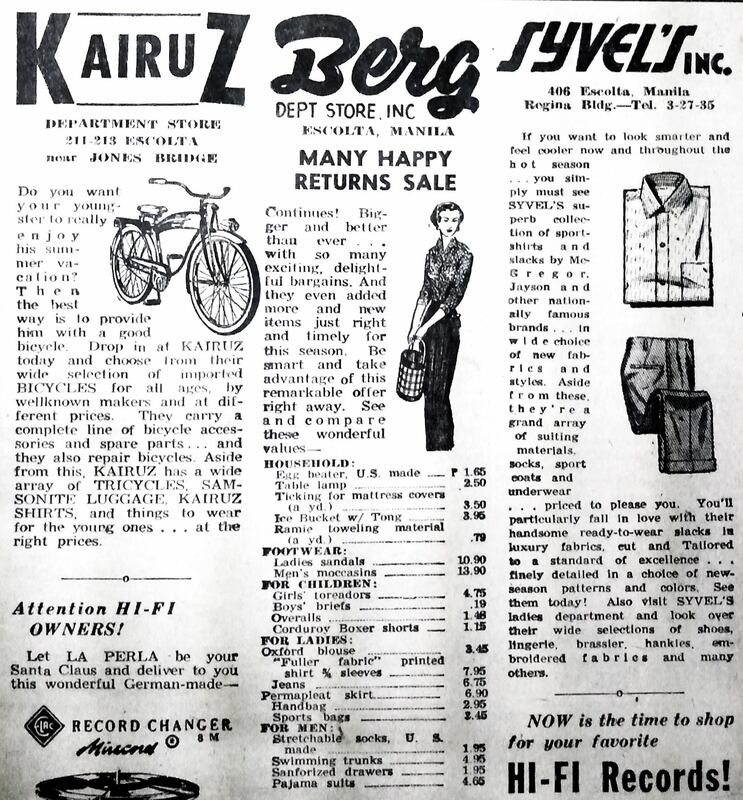 One eventful Christmas, I asked Santa, via a letter my mom helped me write, for a two wheeled bicycle – helping me graduate from a three-wheeler. I pointed to an ad in the paper from Kairuz. 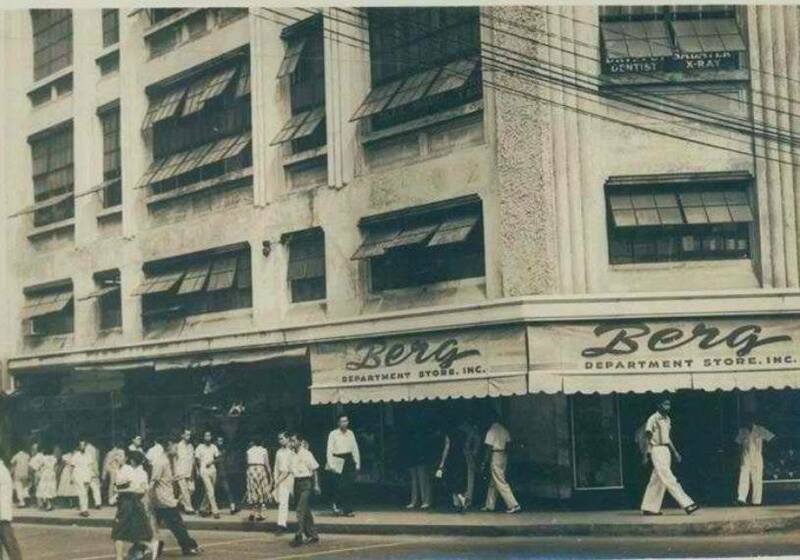 And, not to forget my favorite store on the Escolta (besides our own Gem Gift Shop), was Berg’s Department Store. These photos generously submitted by Ms.Evelyn Berg Empie. 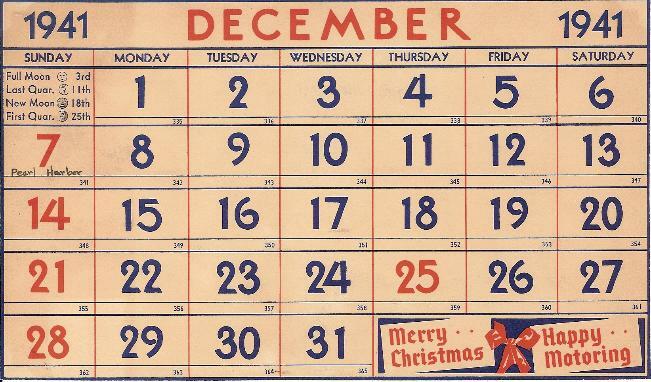 Two weeks after the manic rush of Christmas was a smaller yet quaint holiday. I was told to shine my shoes to a high polish and place them on the windowsill, the idea was to attract the attention of the Three Kings as they returned from the manger. Thus highly impressed with the polish on my shoes, they would place candies and small toys in my shoes. This system seemed to work so I never doubted how three Magi could possibly travel from the manger (wherever that was) on their camels all the way to Manila. At that point, I had never seen a camel anyway. Because Manila is at sea level, there were no basement level areas where one could find shelter. 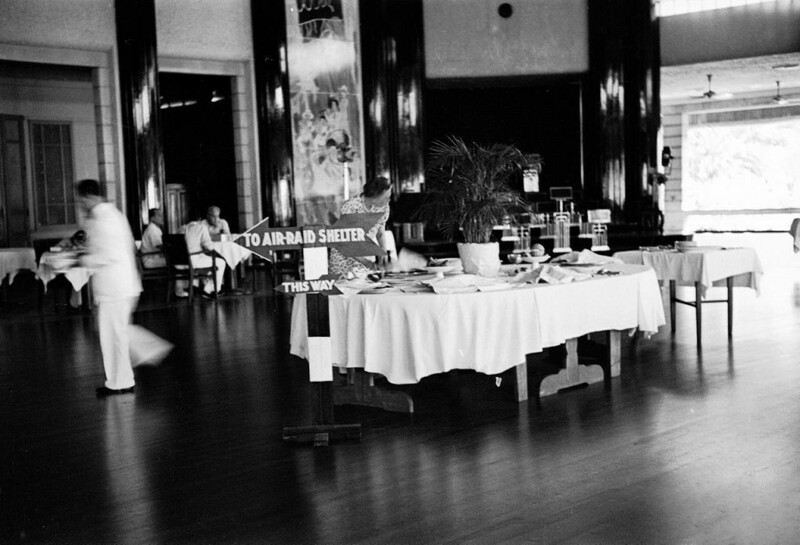 The Manila Hotel was one of a few that prepared for the inevitable. Other hotels, such as the Bay View protected their lobbies with sandbags. The photo below was taken by Clif Forster in December, 1941. Clif was about 18 when Manila was being bombed by the Japanese even after the declaration of the “Open City”. 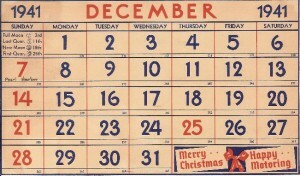 The photo above was taken on December 1st, 1941 at the Santa Ana Cabaret owned by John Canson. 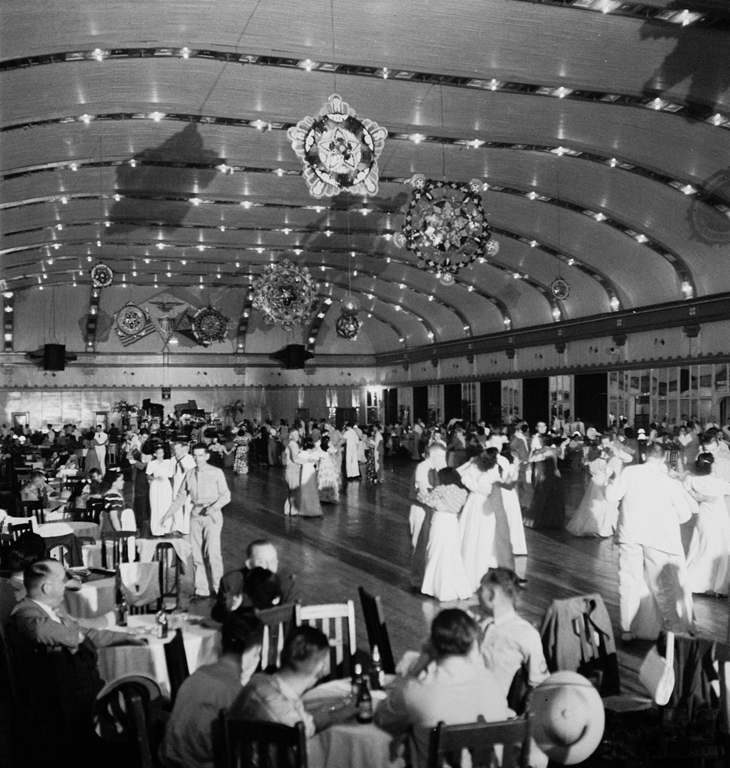 The dance hall was decorated with Christmas lights and large parols. Many military men were enjoying their liberty , not knowing that Manila would be attacked by the Japanese just a week later. 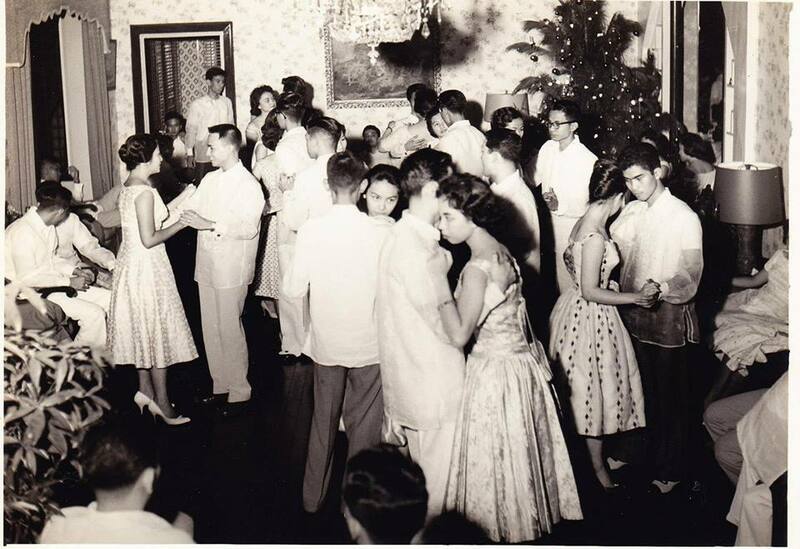 On the evening of Dec 7, 1941 a loud party was underway at the Manila Hotel’s Fiesta Pavilion. Maj.Gen. Lewis Brereton, a commander of the USAAFE was attending a party thrown by the 27th Bomb Group recently arrived from the U.S. ahead of their planes. The party was marked by raucous laughter, off-key singing, tinkling glass and squealing girls and ran on into the wee hours of the morning. Observing from the Hotel’s Bamboo Bar under a cascade of bougainvillea, !st Lt. Dwight Hunkins remarked to his friends, “I hope they can fly B-17s better than they can sing.” None of them knew it yet but they would be at war the next morning and when it was over only one of them would still be alive. 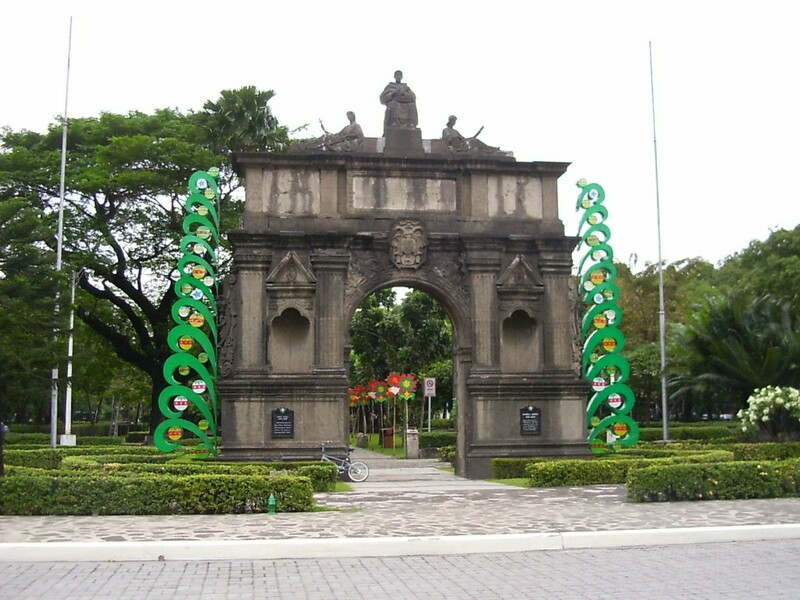 On Christmas Eve, at President Quezon’s urging, Gen. Douglas MacArthur declared Manila an open city. An affront to the predominately Catholic population, Manila was bombed twice on Christmas Day with the bombings continuing for several days. This year, Typhoon Yolanda destroyed many communities in the Visayas region. The destruction and loss of life and possessions is daunting to say the least, but more than that, the aftermath of the storm threatened to wreck the spirit of the survivors. Yet I know that the strength of the Filipinos will overcome these tragedies because of their generosity , their helpfulness and bayanihan. This article is dedicated to those survivors. I encourage you to donate to your favorite charity – your help is still needed ! Maligayang Pasko sa lahat at Masaganang Bagong Taon ! 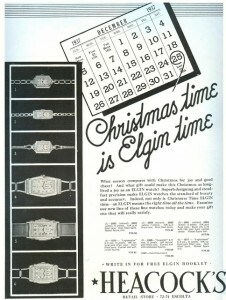 A very Merry Christmas and Happy New Year to all ! 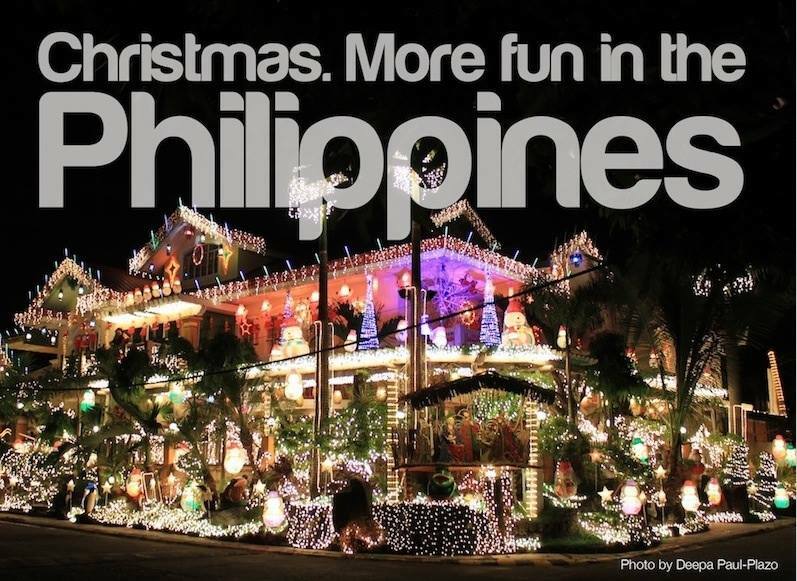 Lou, your Philippine Christmas memorabilia is outstanding! Thanks for the sentimental journey. Absolutely outstanding article, combing the wonderful Christmas traditions with the harsh realities of Christmas during the war years! You did an outstanding job. Christmas has never seemed quite “right” to me without a parol hanging outside the front door. What I wouldn’t give to have one now. I never thought of it then, but surely they were a fire hazard?? That thin, thin tissue paper and the hot electric light bulb? I don’t remember Christmas starting in September though! To this day I’m always a bit put out when they start Christmas carols and decorations before The 1st of December! Excellent work Lou! Refreshed my memories again! Your are doing a wonderful job. I cannot thank you enough for all the memories you bring back and continue to bring back as I revisit your posts. with every Christmas Card I’ve seen. 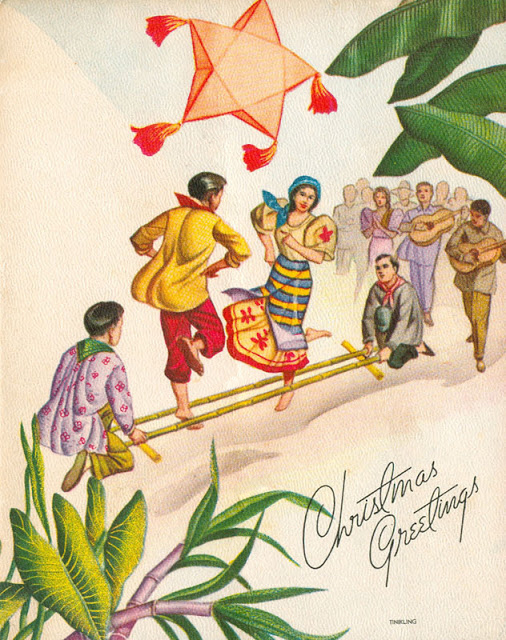 written with a homesick heart in Vermont in 1958…My first christmas in years away from Manila. 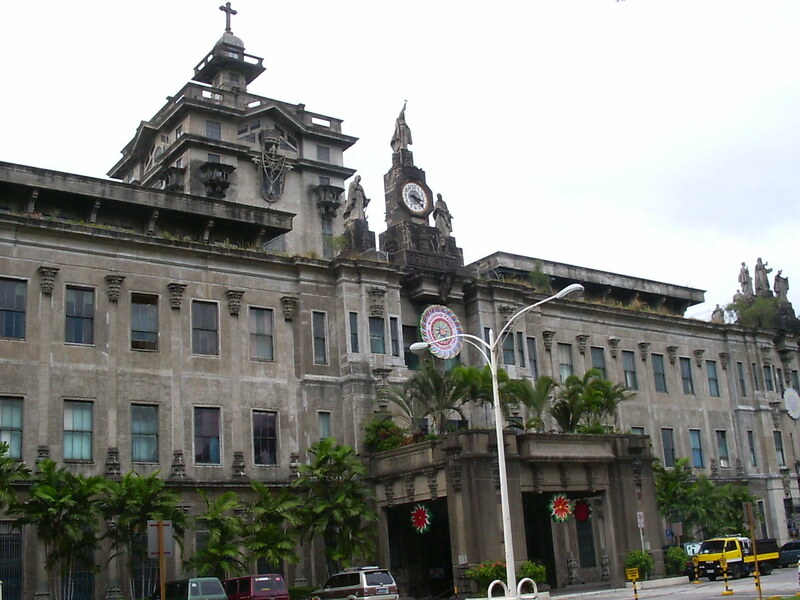 I’m from Baguio but went to Manila for my education. My wife is also a Henry (Jean C. Henry) daughter of the late Raymond Henry of Philex Mines Too many Henry’s around. In San Bruno,CA there is also Uncle Joseph Henry. I’ m sure he’ll appreciate this Nostalgia. I for one, these pictures are so vivid in my memory. Salamat sa iyo Lou. Much appreciation. 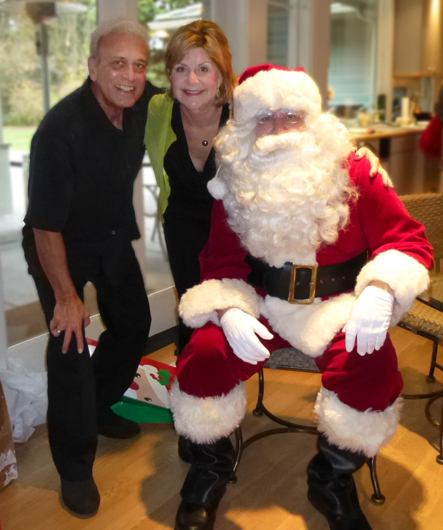 Thanks again for what is both a wonderful article and a meaningful Christmas meditation! Merry Christmas to you and Michelle! 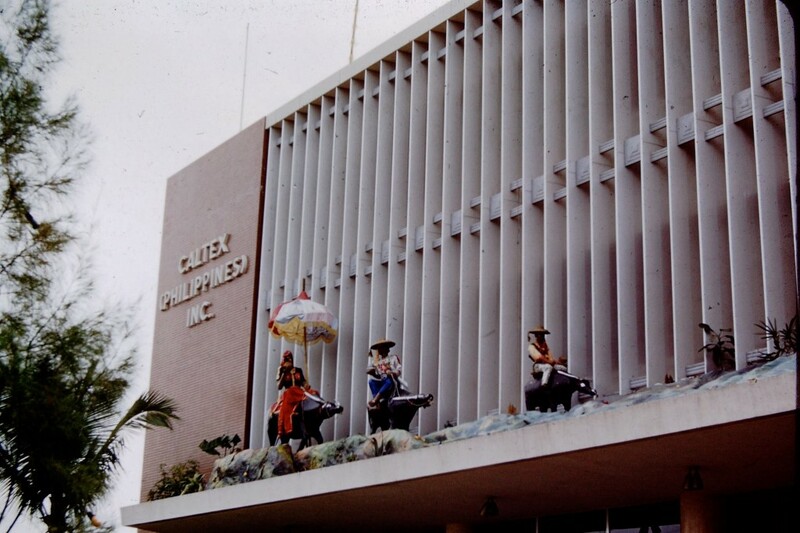 And also to all fans and followers of Manila Nostalgia! Lou, if you have finished your film, I will be interested in getting a copy. Let me know the cost and how I can pay for it. I am also doing a research on the Liberation of Manila, for a possible book. i used to watch old movies when i was still a child and it made me wonder how the world back then. its a refreshing for me to feel it and wished that my time would be the same how it was :).. it also made me realized that i have to be thankful that i didnt experienced that kind of war. 1942-1944, in between that years, my mom was born. how did my grandparents survived then? made me count that my mom had me at the age of 17 as her first born, very young mother… thank you, lou for taking me back at that time and will surely love to go back again.. its like a time machine.. parang ang saya at tahimik noon had not been for the war..
Another excellent rendition of times past. Who says time travel is not possible…You have done it again. Thank you so much for bringing back vivid memories of our happier times. I’m just curious, do you still speak tagalog fluently? No, not really. I’ve lost a lot since moving to Seattle in 1962. Every time I go back to Manila some of it comes back. Mahina nalang. I was wondering how you could write from the spirit of one who is fellow countryman. Your narrative of the whole Christmas holiday I believe is one based on your own local experience because your perfect timed inserts of local jargon strongly identifies you as one of us. This is the hallmark of your credibility as a writer. Your pictures lay credence to the stories but your literary style keeps me more riveted to finish the whole article. In the open media world of overflowing hacks, I find your blog inspiring, thought provoking and would recommend it to somebody who is serious about Philippine History. Mabuhay ka Lou. Hi, enjoyed reading !! ….now homesick !!! Thanking you and God bless ! Wonderful blog.. Lou you’re the man… keep them coming!! Hi Lou, you should be proclaimed a national hero for creating these websites. I was very gratified (if that’s the word) to have discovered this that immediately email your website to friends who I know grew up in the Manila area. One question, you didn’t mentioned the name of your band when you played with RJ & The Riots. I still have to browse through all your sites but currently at work. Again, BRAVO, for doing this & sharing this happy nostalgic moments with us who are away from the country. Thanks. Thanks again for the memories. I use to hang out in Escolta when I was young and what I enjoyed the most was walking through Escolta, Avenida Rizal, Dasmarinas, etc. looking at all the sidewalk vendors and the Christmas toys and gifts they were selling. 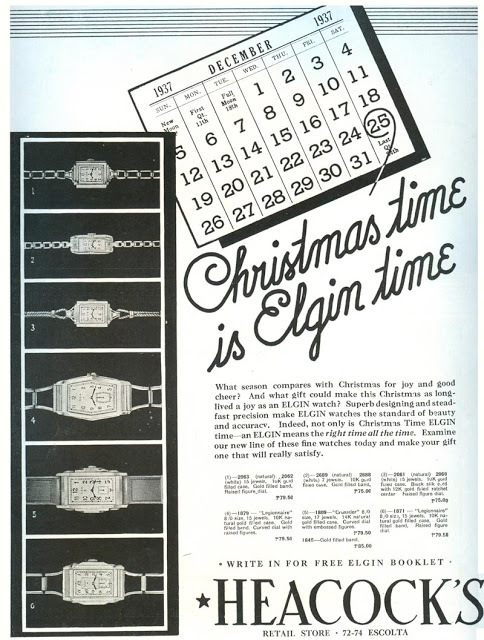 It really brought out the commercial spirit of Christmas if you can call it that. I really like to read about Christmas traditions from different corners of our world, because there are many unusual nuances. why not about your father’s Gem store? With your permission, I would like to share this article in the facebook page of Philippine Expressions Bookshop. Interesting article and am sure that a lot of people will enjoy it. Please confirm. Thanks, Gopal. Yes, you may share my article and thank you ! My misspent youth aka I Love Cars ! My Alma Mater – The American School, Inc.
Manila’s Public Transportation – a pictorial essay. 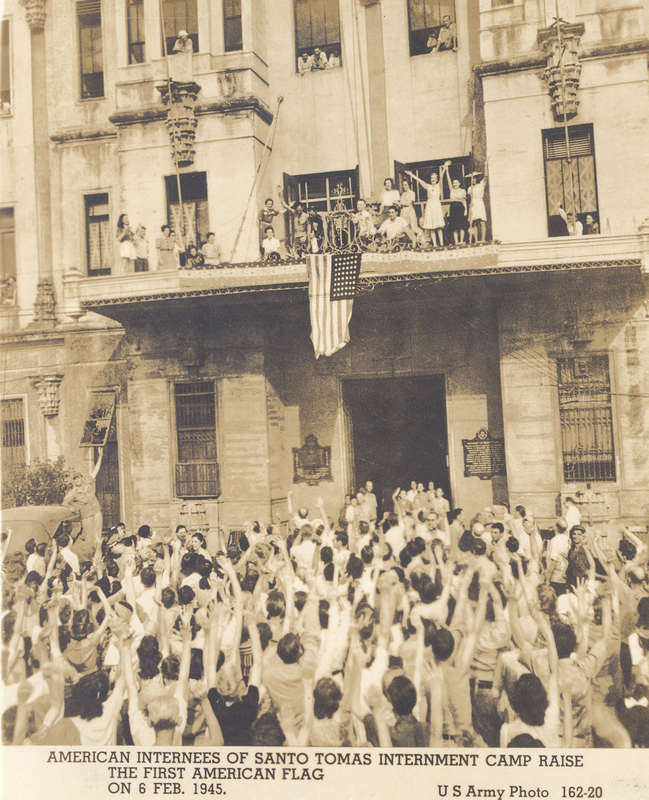 Santo Tomas Internees Liberated 70 years ago. Rizal Avenue – A street to love. The Jai Alai Building, a beautiful example of Art Deco in Asia. 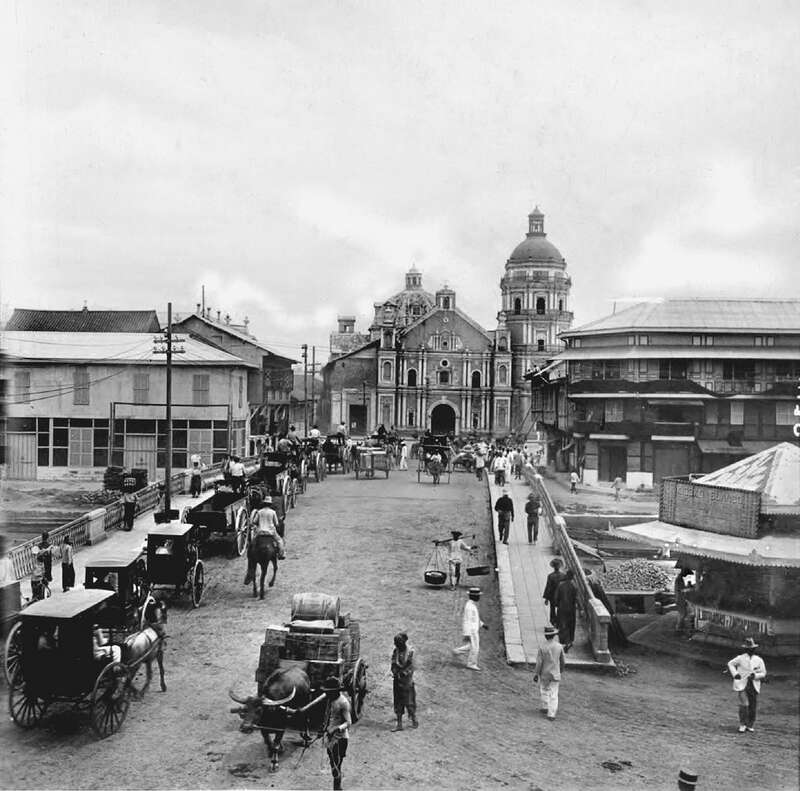 Escolta – a rich history. The Crystal Arcade – Art Deco at its finest ! Welcome Manila nostalgia fans ! Print this article or save as PDF file.